How do you control a satellite’s orientation as it orbits the Earth? 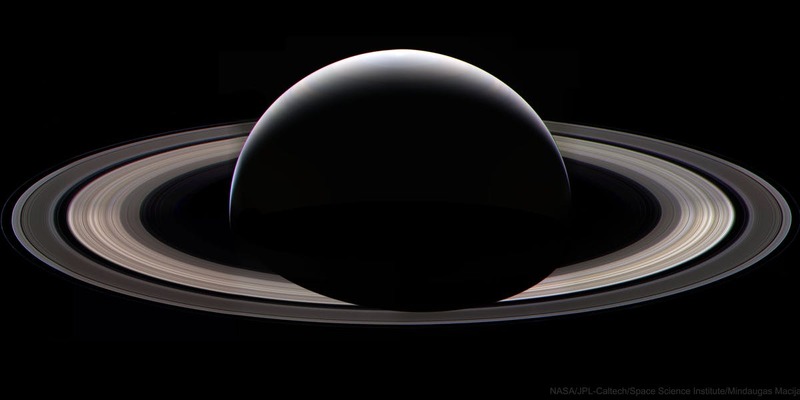 How do we aim a spacecraft, like Cassini, so that we can take beautiful pictures of other planets? Farheen Rizvi works on these challenges as a Guidance, Navigation, and Control engineer. To find out the answers, keep scrolling… you’re going in the right direction! Farheen Rizvi: Spacecraft Guidance, Navigation, and Control engineer. I am a guidance, navigation, and control (GNC) spacecraft engineer. I have worked on Cassini, Soil Moisture Active Passive (SMAP), and NASA ISRO Synthetic Aperture Radar (NISAR). I am starting to work on Space Based Infrared Radar (SBIRS) spacecraft. I figure out where the spacecraft is (navigation), where the spacecraft should go (guidance), and how to get the spacecraft there (control). Farheen next to the Soil Moisture Active Passive (SMAP) spacecraft. Controller: what torques and forces are required to redirect spacecraft path as commanded. This is a computer algorithm which figures out how much torque or force is needed. Plant: a model which translates a force or torque into motion of the spacecraft, based on the spacecraft’s properties. Actuators: spacecraft hardware that changes spacecraft position, velocity, and orientation (e.g. thrusters, reaction wheels, magnetorquers). Sensors: spacecraft devices that help sense the spacecraft position, velocity, and orientation (e.g. star tracker, GPS, magnetometer, lidar, cameras, laser-based rangers). Estimators: algorithms that estimate spacecraft position, velocity, and orientation. What is spacecraft pointing? Why is it important? Spacecraft pointing refers to orienting the spacecraft in the required direction. Pointing is crucial to the success of a spacecraft mission. For example, scientists need the spacecraft to point in a certain direction to take cool pictures of planets, moons, galaxies. I worked on adjusting Cassini spacecraft pointing so scientists could obtain these real pictures of Saturn, its rings, and moons. These pictures are a direct result of my work on Cassini. Photographs from the Cassini spacecraft of Saturn, its rings, and moons Dione (left) and Titan (right). Spacecraft pointing is important for maintaining spacecraft health, too. The spacecraft health would suffer if the spacecraft could not be pointed wisely: the Sun could burn-up the cameras on-board the spacecraft if the spacecraft camera was looking directly at the Sun. During Cassini attitude control operations, I assessed science pointing designs and ensured that the proposed pointing did not violate Cassini hardware safety-zones to avoid exposure to bright bodies like the Sun. Another example is the SMAP spacecraft, which measures global soil moisture. It is important for spacecraft to point correctly in order to obtain accurate science return. The spacecraft radar signal is reflected towards Earth by the rotating reflector disk. After interacting with the Earth surface, the signal returns to the spacecraft from which the soil moisture information is retrieved. If the spacecraft and reflector instrument are misaligned, then the scientists would not have been able to attribute soil moisture data to the correct source on the ground. On the SMAP pointing team, I developed an algorithm to estimate and correct for the spacecraft reflector misalignment while SMAP was in-orbit. The importance of knowing where SMAP is pointed! The algorithm used a dynamics model, radar model, Earth topography model, instrument spin model, error source models, and least squares estimator to calibrate and correct for the misalignment to within 6 milli-deg! This is way less than the width of one human hair! The basic concept of the calibration was derived from high school math and physics principles, such as those shown in the next picture. The calibration for SMAP was derived from high-school math and physics concepts! What inspired you to pursue space? Was there a specific person or event that set you on this path? I have been passionate about space exploration since childhood. Looking up at the night sky would inspire me to be curious about “what’s out there,” and motivated me enough to acquire the right tools and learn about the universe. My family and teachers were a great support along this journey. My faith and role-models within my faith (Prophet Muhammad s.a.w.a.w.s.) were key in directing my path towards space exploration. My faith emphasizes learning about the universe. In particular, Imam Jafar Ibn Mohammed as-Sadiq a.s. (702 A.D. – 765 A.D.), who was one of the great-grandsons of Prophet Muhammad s.a.w.a.w.s., maintained a laboratory and had students doing scientific experiments that led to discoveries (e.g. discovery of oxygen). He encouraged others to be curious and work hard to unravel the secrets of this universe. He theorized many scientific phenomena about the universe that have been proven today, and he also shared his knowledge about engineering principles that have been turned into reality today. A few of his ideas are shown in the diagrams below. Book: The Great Muslim Scientist and Philosopher: Imam Jafar ibn Mohammed as-Sadiq a.s.
Imam Jafar as-Sadiq a.s.’s hypothesis regarding light from other celestial objects. Imam Jafar as-Sadiq a.s.’s theory on light from distant objects, which envisioned telescopes nearly a century before one was ever built. I am inspired by Hazrat Imam Jafar as-Sadiq a.s.’ theories about planets and life outside our own solar system. My goal is to work on guidance, navigation, and control of spacecraft that explore exoplanets (extra-solar planets), and someday discover life outside Earth! Imam Jafar as-Sadiq’s theory that life must exist on other worlds. Spacecraft such as the Viking lander and the rover Curiosity have sought to determine whether life could ever have arisen on Mars. How did you get a job at the Jet Propulsion Lab? My undergraduate senior design project was funded by NASA-JPL, where some of my work received visibility with NASA-JPL engineers. I was given a chance to interview on-site at NASA-JPL, and was selected after graduation. What has been the most amazing experience of your career so far? Having an opportunity to work within the space industry, and specifically spacecraft guidance, navigation, and control has been a childhood dream. So just being able to feel internal satisfaction after a hard day at work is amazing and never gets old! Have you ever faced what seemed like an insurmountable challenge in your career? If so, how did you address it? Everyone faces challenges in their life. These challenges generally are a variation of health, wealth, family, and career. The most challenging aspect of my career so far was learning to work among peers who had different values. I learned that a healthy work environment could be maintained by just focusing on my own work and the bigger picture, and to remember that all of my teammates were working towards a common goal. You’ve modeled the flight of several different spacecraft. Do you have a favorite? I have worked on Cassini, SMAP, and NISAR spacecraft. Cassini was deep space and the other two were Earth orbiters. Each spacecraft was unique. Working on NISAR was a unique experience because I got an opportunity to collaborate with scientists and engineers at the Indian Space Research Organization (ISRO) in Bangalore, India. India is my birth country. So working on NISAR was pretty cool! I am just starting to work on SBIRS at The Aerospace Corporation in El Segundo, California, which is an Earth-orbiting defense spacecraft to detect missiles. What advice would you give young people interested in pursuing science, technology, engineering or math? Take learning and school seriously. Learn the concepts thoroughly and with as much depth as you can. You’ll be using the same concepts one day working on real engineering systems! As an example, I have used conservation of angular momentum, which I learned back in high school, to estimate orientation of real spacecraft hardware in flight. In 2011, the Cassini spacecraft back-up reaction wheel was swapped with the prime reaction wheel. A reaction wheel is an actuating device on a spacecraft that can change the spacecraft orientation. A spinning reaction wheel adds to the angular momentum of the entire spacecraft. It is important to know the direction (orientation) of the reaction wheel spin to determine the impact on the spacecraft angular momentum. The spacecraft was quiescent during this time, which implied there were no external torques on the system. Hence, the conservation of angular momentum before and after the swap could be applied. This is the real flight telemetry from the swap activity. Real data from the Cassini spacecraft, showing one reaction wheel (RWA4) stopping (“spinning down”) and another wheel (a.k.a. RWA3) starting (“spinning up”). Note that “zero” is at the top of the plot! A momentum balance before and after the hardware swap was used to determine the orientation of back-up reaction wheel with an accuracy of 0.1°. Accurate knowledge of the back-up reaction wheel orientation is required to determine the correct spacecraft orientation. The Apollo moon landings inspired an entire generation of scientists and engineers. What do you think will be the pivotal mission or event that inspires the next generation? A mission exploring exoplanets and finding traces of life on planets outside our solar system.